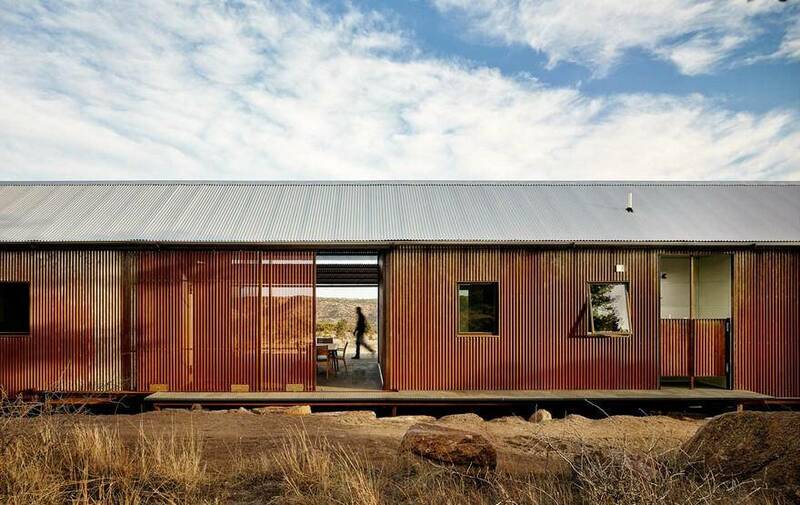 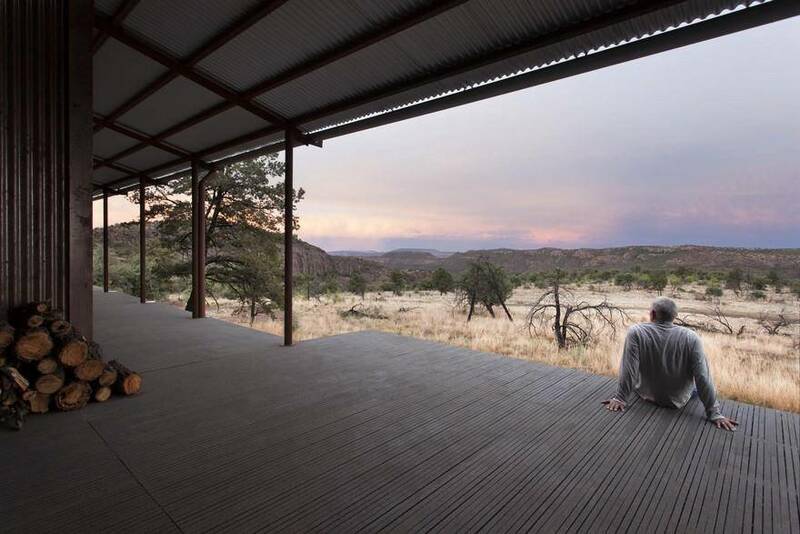 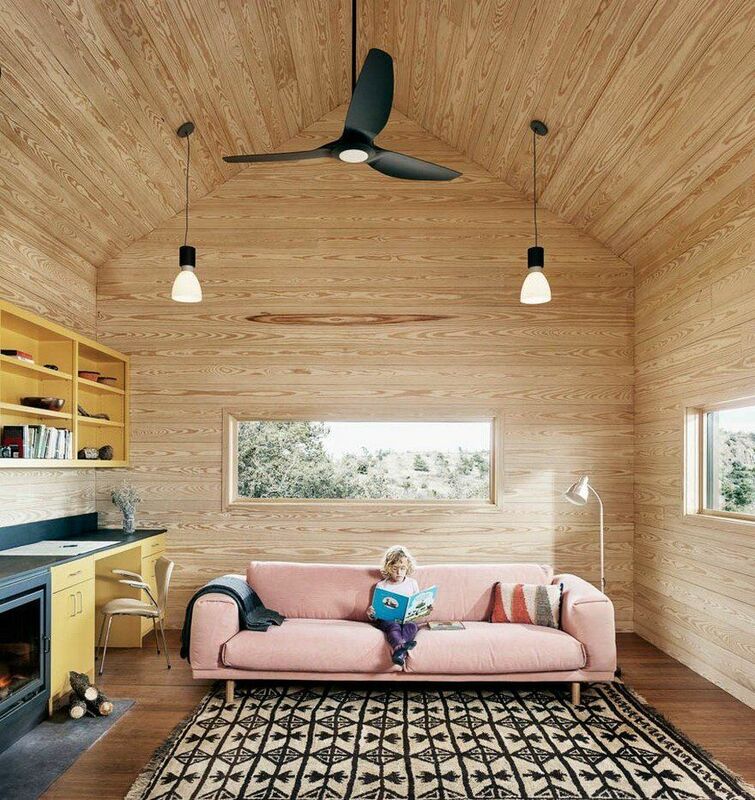 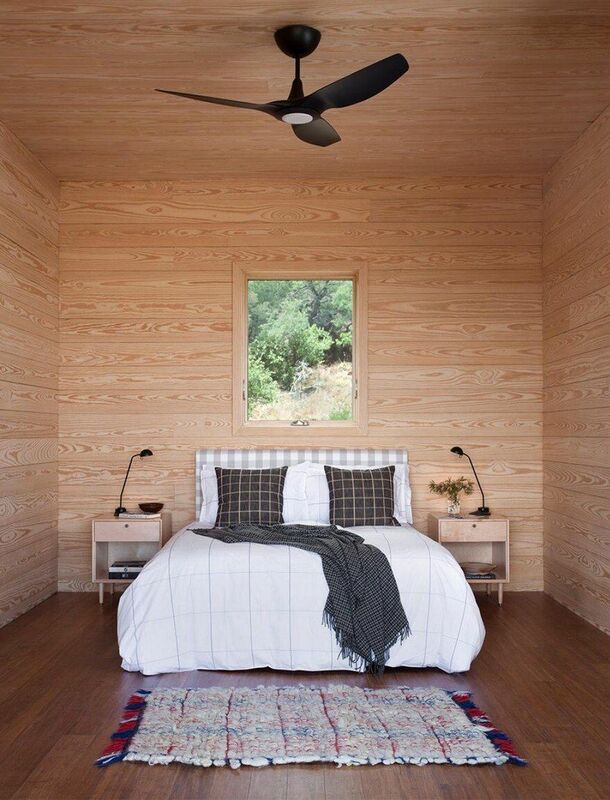 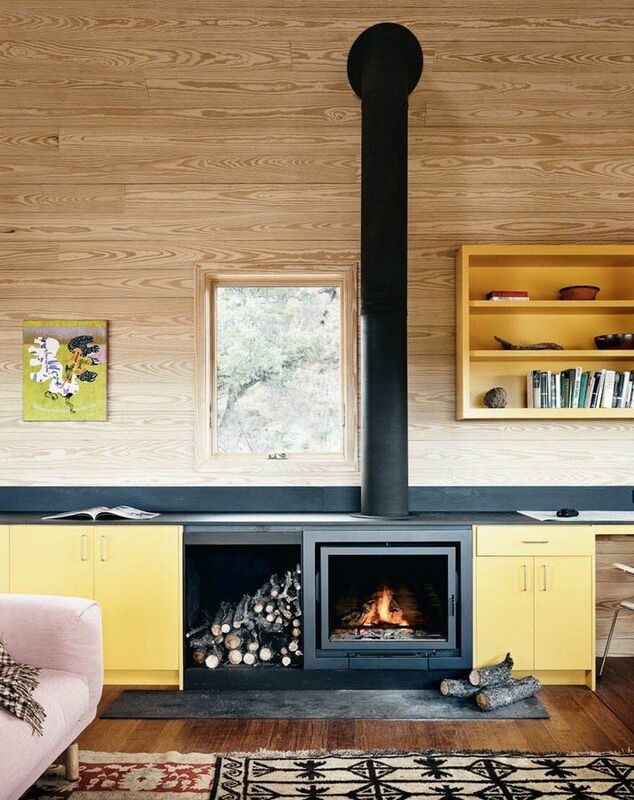 Text by Lake Flato: Situated against a secluded bluff in the Davis Mountains of far west Texas, The Prow is the first off-the-grid Porch House. 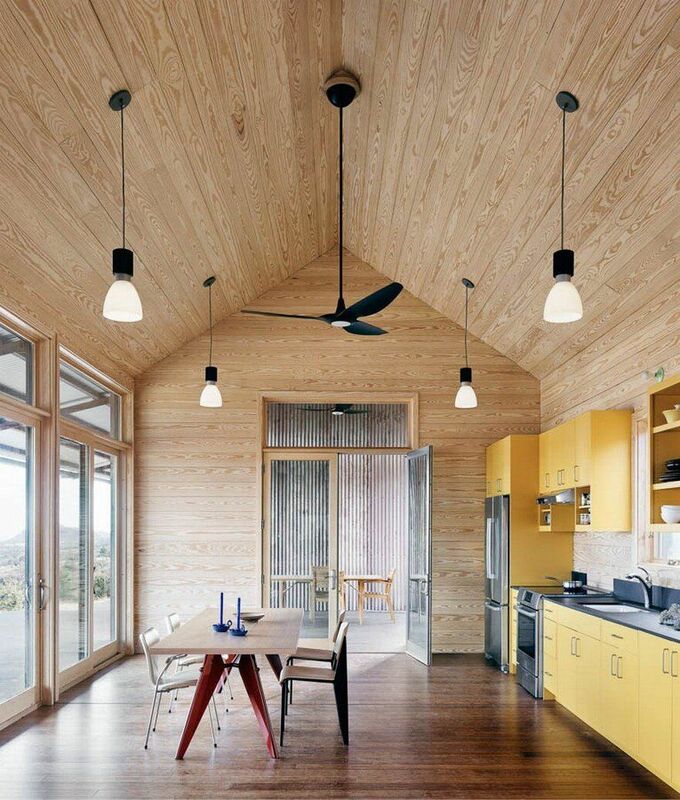 The house is a simple design protected by a single long-gable roof. 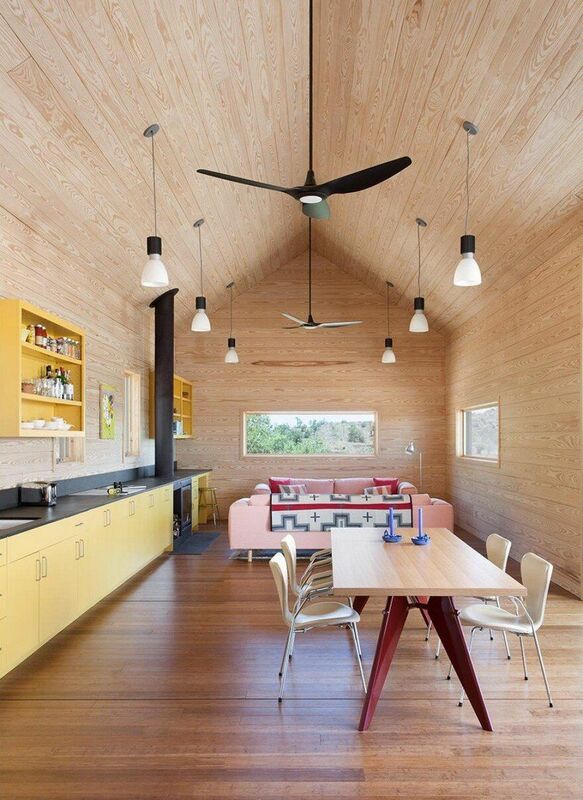 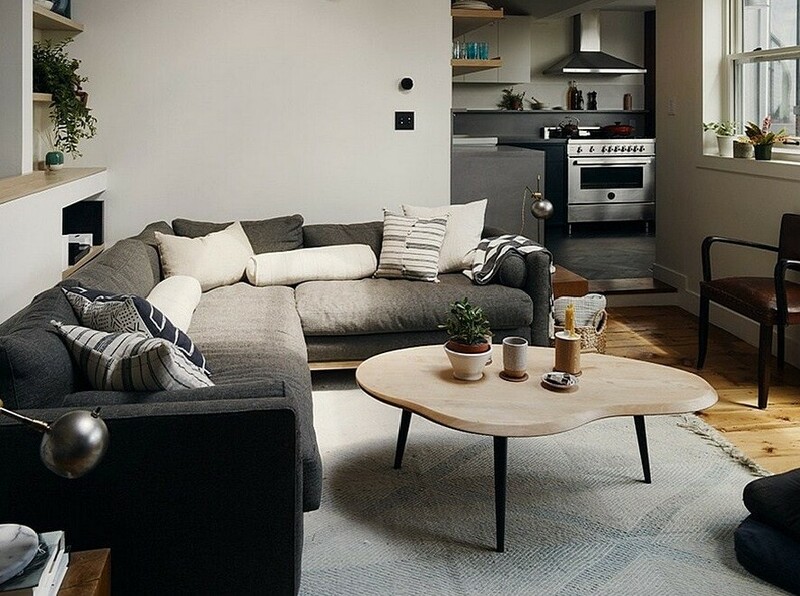 A vaulted space contains the kitchen, dining and living areas, while a dog run separates the other module housing two bedrooms and a bath. 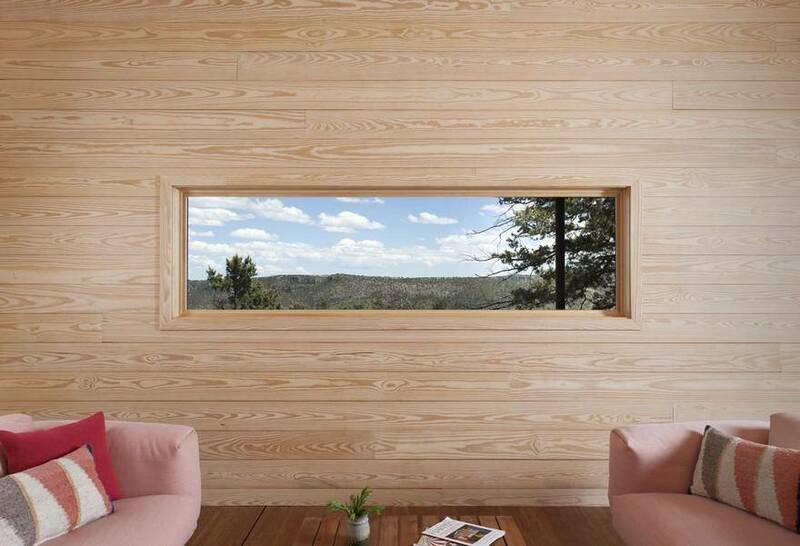 A porch runs the length of the building with a view across the subtle, jutting landform that gives the project its name. 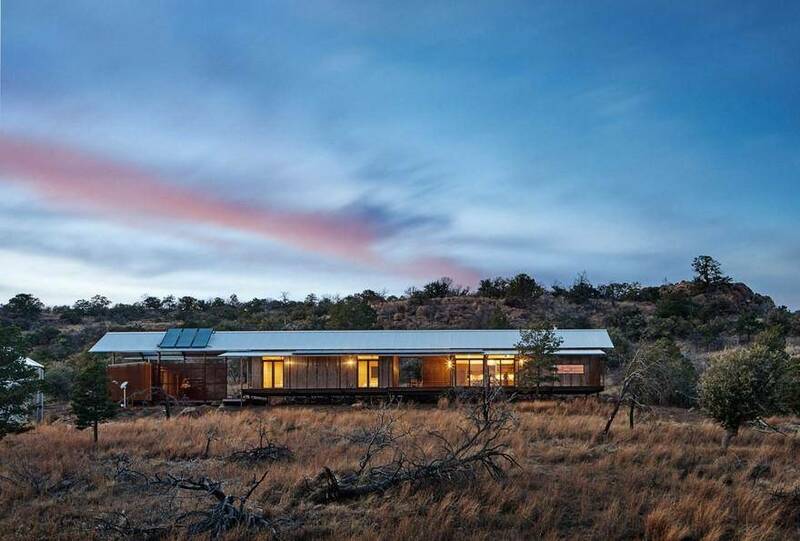 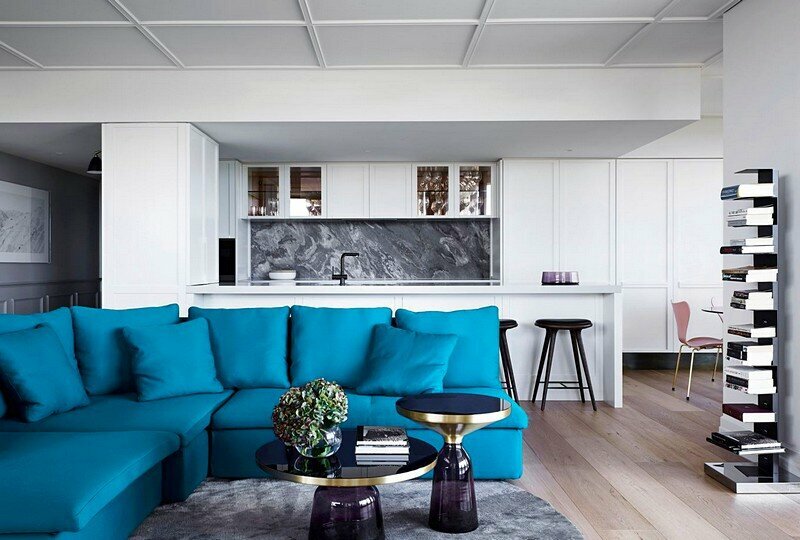 The house relies on solar power for energy through a photovoltaic array and battery storage. 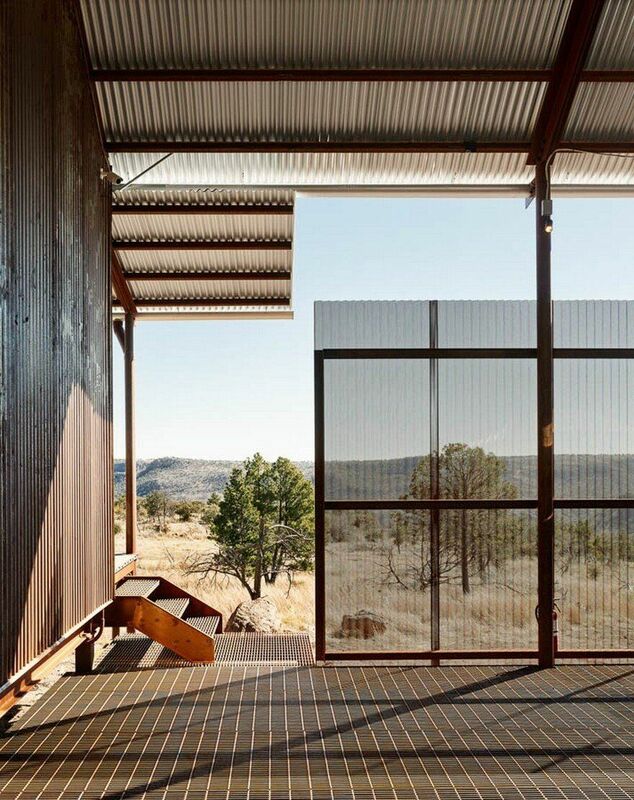 In addition, solar thermal collectors heat the house through a radiant flooring system. 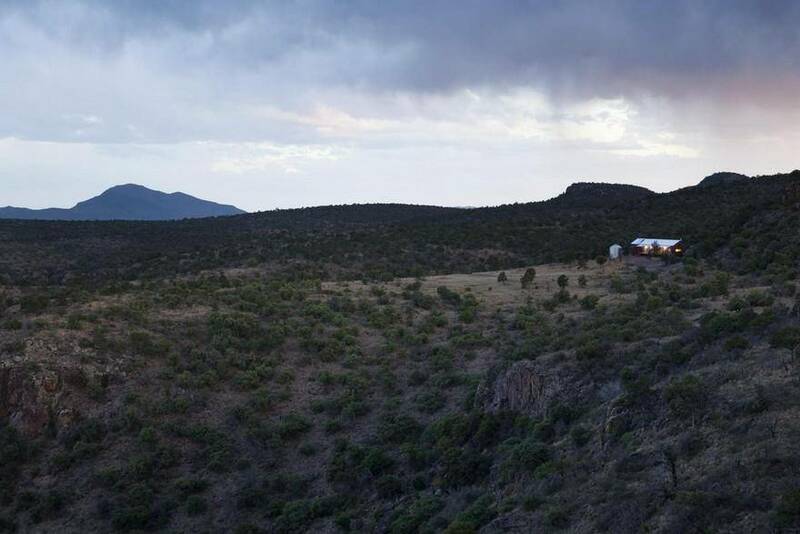 A large cistern collects rainwater for potable use and (if needed) occasional fire protection. 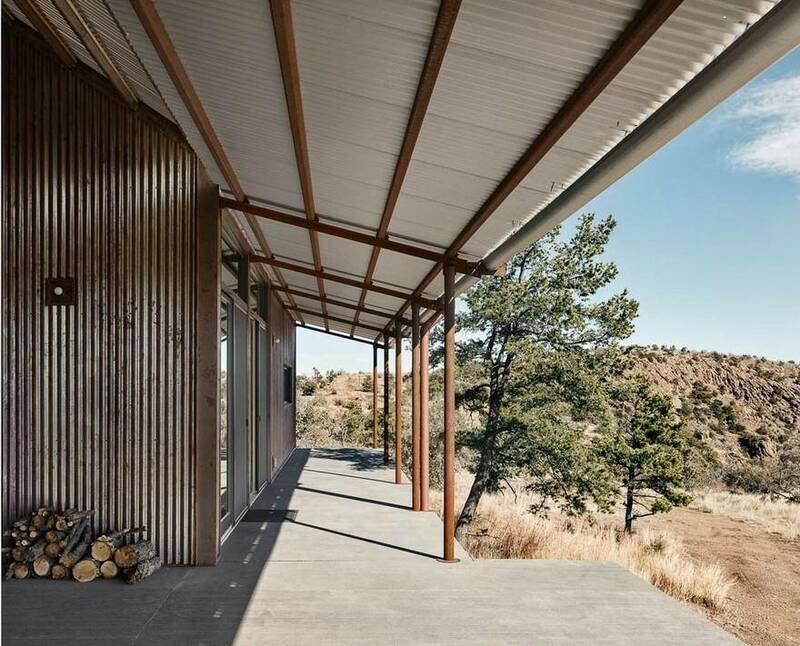 Contrasting the interior walls and ceilings of warm, natural pine, the exterior of The Prow is clad in rusting steel. 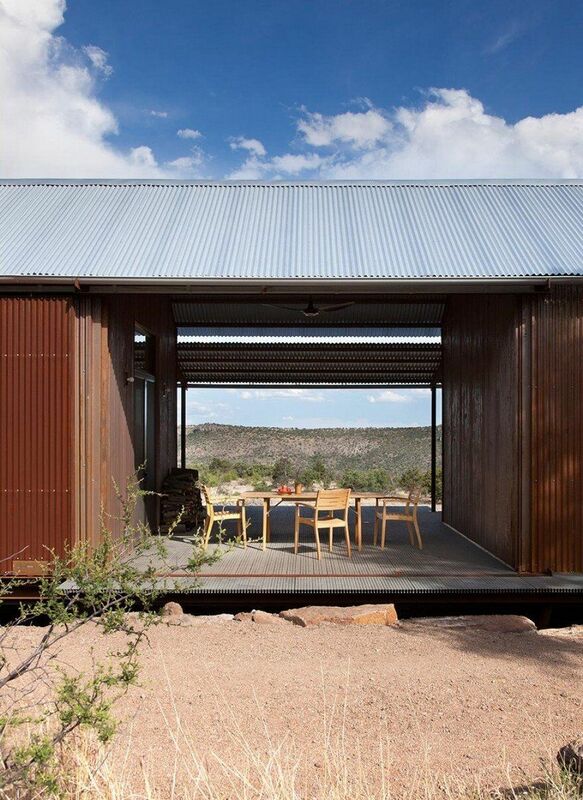 The durability of this exterior steel withstands the harsh environment while responding to the fire potential of the remote area. 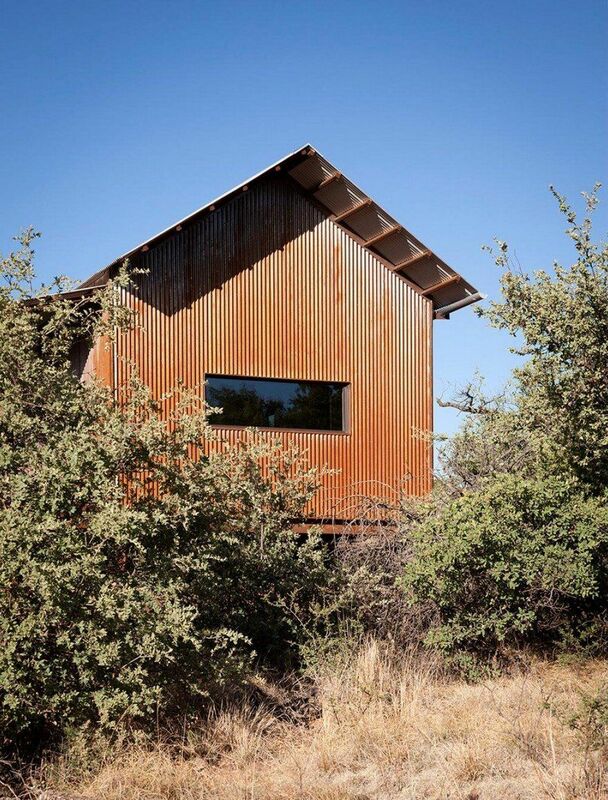 Due to difficult access to The Prow, the steel structure was fabricated in San Antonio, transported as components to west Texas and bolted together on-site. 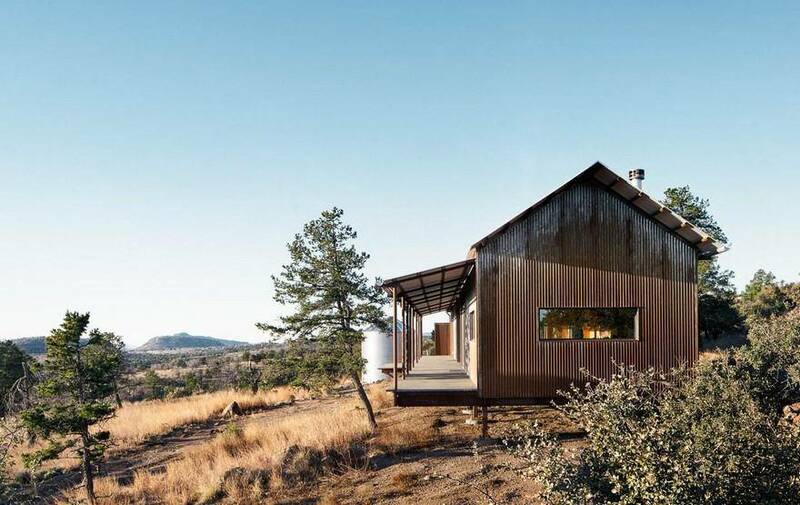 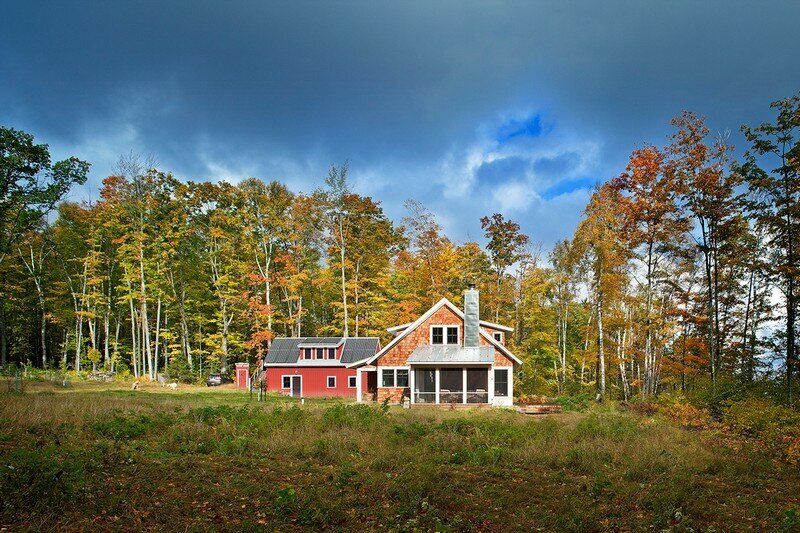 The use of both pre-fabricated and site-built components integrated with passive and active energy systems for this off-grid residence make the Prow a unique project.